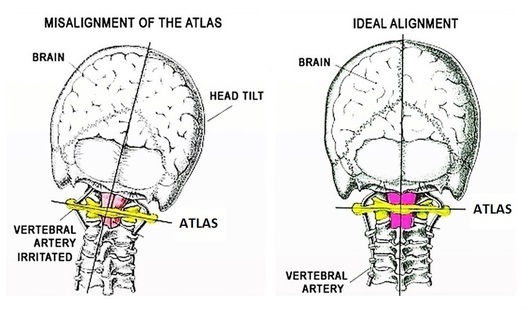 ATLAS ORTHOGONAL (AO) is a chiropractic technique which is a gentle, effective approach to renewed health and relief of discomfort with manipulation. Your Atlas Orthogonal doctor will perform an examination to determine if you are a candidate for Atlas Orthogonal care. If you are a candidate for care then x-rays will be performed and your spine will be studied in depth. The doctor will evaluate the extent of joints misalignment or damage, and measure the joint surface shapes and angles. These measurements allow the AO doctor to calculate the exact vectors needed to correct your misalignment completely and gently. The Atlas Orthogonal Percussion Adjusting Instrument a percussive soundwave to perform the adjustment and precisely realign the atlas vertebra within its normal range of motion. This means you will feel no twist, pop, or pain while the adjustment takes place. If the vectors used in the adjustment are correct, pain and irritation in the adjacent structures will be removed almost instantly. After the initial adjustment has been delivered, post X-rays will be taken. These will show the immediate changes made to your spine, including changes made to spinal curves, disc spaces, and alignment of the bones. They also tell the doctor if the adjusting vectors are correct, or if they can be improved upon. You will be shown these results. The stabilizing structures of the neck will never be as strong as they were prior to misalignment. For this reason, the atlas may not hold in place for long periods of time at first. A series of frequent adjustments may be needed in the early stages of care to allow stabilization and healing of the joint. Once the joint has sufficiently healed and stabilized, the atlas will stay in alignment the majority of the time the healing of the body will start. Frequent adjustments are not needed after healing has taken place in most cases. Periodic maintenance examinations by an Atlas Orthogonal chiropractor are necessary to ensure continued alignment and results. WHY IS THE ATLAS SO IMPORTANT TO HEALTH? It affects muscles and nerves in the head and face. It houses the ‘switchboard’ of the body connecting messages between the brain and the body. It affects parts of the brain with connections to organs. It affects postural and muscle balance producing perpetual spasm. It directs mechanical alignment and function of the entire body. WHAT IS THE TRAINING OF AN AO CHIROPRACTOR? No practitioner today has the extent of undergraduate educational focus that chiropractors have in spinal diagnosis. AO chiropractors graduate with the traditional doctorate of Chiropractic and then complete an additional two year study in the upper cervical spine. YOU MIGHT TRY AO IF? …YOU SHOULD FURTHER INVESTIGATE THE BENEFITS OF AO CARE! Watch the videos below to learn more about what we do and why we do it.